EMANUEL ADLER, University of Toronto. This talk will first introduce a book that suggests an evolutionary theory aimed at explaining social change and stability of international social orders. Rather than reasoning by direct analogy to biological evolution, “cognitive evolution” theory builds on a general model of evolutionary change, associated with “evolutionary epistemology,” which requires uncovering unique social mechanisms and processes associated with cognitive evolution. The book’s theoretical section establishes the theory’s dynamic, process-oriented, ontological foundations; describes evolutionary epistemology and its pragmatist historical roots; and explains cognitive evolution theory’s mechanisms and processes. Emanuel Adler envisions using three cases of cognitive evolution—European social order since World War II, cyberspace order, and corporate order—to uncover and illustrate how international social orders evolve and are maintained metastable. 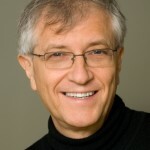 Emanuel Adler is the Andrea and Charles Bronfman Chair of Israeli Studies and Professor of Political Science at the University of Toronto, a Fellow of the Royal Society of Canada, Honorary Professor at the University of Copenhagen, and former editor of International Organization. Previously, he was Professor of International Relations at the Hebrew University of Jerusalem. His publications include books such as The Power of Ideology; Security Communities (with Michael Barnett), Communitarian International Relations, Convergence of Civilizations (with Federica Beverly Crawford and Raffaella Del Sarto), International Practices (with Vincent Pouliot), Israel in the World, and articles such as “Seizing the Middle Ground: Constructivism in World Politics” and “The Emergence of Cooperation: National Epistemic Communities and the International Evolution of the Idea of Nuclear Arms Control.” His current research includes projects on international practices, the evolution of international order, a constructivist reconsideration of strategic logic, including deterrence, epistemic communities, and Israel’s relations with the world.